"Ladies and gentlemen, boys and girls and children of all ages! 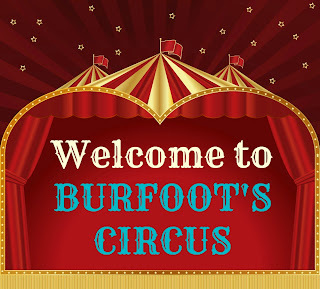 Welcome to Burfoot's Circus, the travelling home of freaks, misfits, drop-outs and the socially inept – sometimes all of the above – come together for your entertainment pleasure tonight, out of a love of performing in some cases, and simply fear of discovery in others. “Catch the show now, while you can. We can't stay long in any town and who knows where we'll be next? And honestly, folks, our circus isn't what it was and certainly isn't what it should be. See it now and you'll be able to say, 'Burfoot's? I knew it before it was famous'. Circus. I've never been much of a fan. Clowns creep me out. Freaks freak me out. Aside from the animal show, food, acrobatics and pomp and circumstance of the show, I can't say I'm real crazy over it. Even with stories, much like science fiction, my brain just can't completely grasp the oddity and fascination surrounding the circus and its freaks. But! I think Jackie Trippier Holt just gave me a change of heart with her Dirty Monsters series. FREAKS LIKE US has everyone one finds in a Circus freak show and then some. 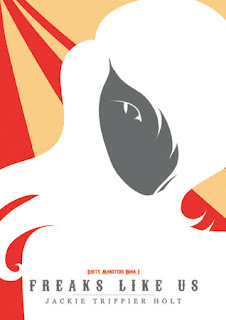 Set in modern times, it has magic, otherworldly creatures, a Curse, a History, a powerful ghost, and the showmanship of a fantastic Rignmaster plus all the drama that happens outside the Circus tent. 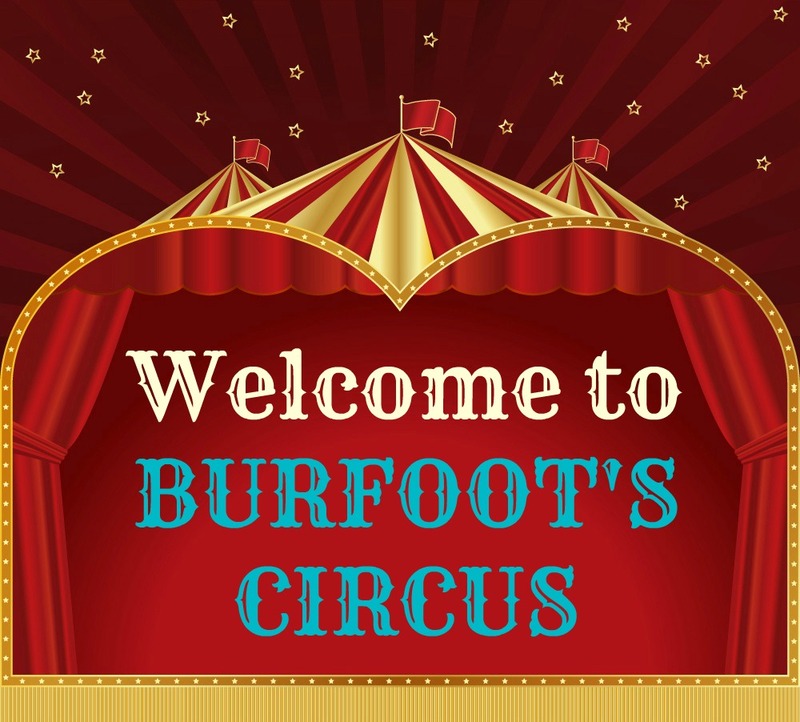 You have the Burfoot troupe going to different places, putting on a show, earn a little bit of money, dust themselves off before moving on to their next destination. They're each other's friend, family, lover and enemy, trapped in their own world without any chance of making a life for themselves. Ever. What I got from FREAKS LIKE US is the screaming loneliness of JTHolt's characters. We'd often glamorize the Circus. We find the people who are part of it utterly fascinating and the show beyond entertaining. But at the end of the day, JTHolt is trying to show us that they are people too, freaks of nature but people nonetheless. They bleed, they have wants and needs, dreams and desires just like us normal folks. My heart went out to each and every freak, they can't leave the Circus lest the Curse will get them. They always have to stick together in this never ending show they have to produce, their lives are not their own. And even if they can go out and be in the Real World, they will remain freak shows because they don't fit the norm. 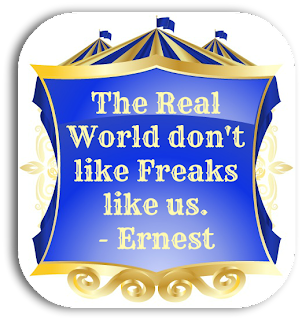 FREAKS LIKE US introduced us to the characters, showed us their world and the lot they're dealt with. But the story's focal point is love, loyalty and friendship. And these were illustrated in Violet's storyline. 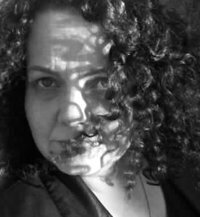 Violet is a freak with feline qualities and her personal conflict lies in the romance department. See Violet, who is also the book's heroine, is in love with Hector, a tomcat, but she's in a relationship with Henry, a damphir. Like most secrets, Violet's silent feelings for Hector got public in the most awkward of situations and this led to a very bad encounter with Henry which led to Violet running away from the troupe. This posed a problem for the rest of the group because according to The Curse, nobody can leave the Circus and an attempt to do so will result to certain death. Have you read The Night Circus by Erin Morgenstern? It's really, really good. Different from this one, and there's a lot of time jumps. I had to read it twice to fully get it, but it's definitely worth it! I actually just bought this book. Must read now! This sounds really good! A circus setting is one that I haven't read before and the curse, actual freaks, a little romance? Yup sounds like a new addition to my kindle for sure. Thanks so much! Yes, I suggest you do! I think you'll love it.